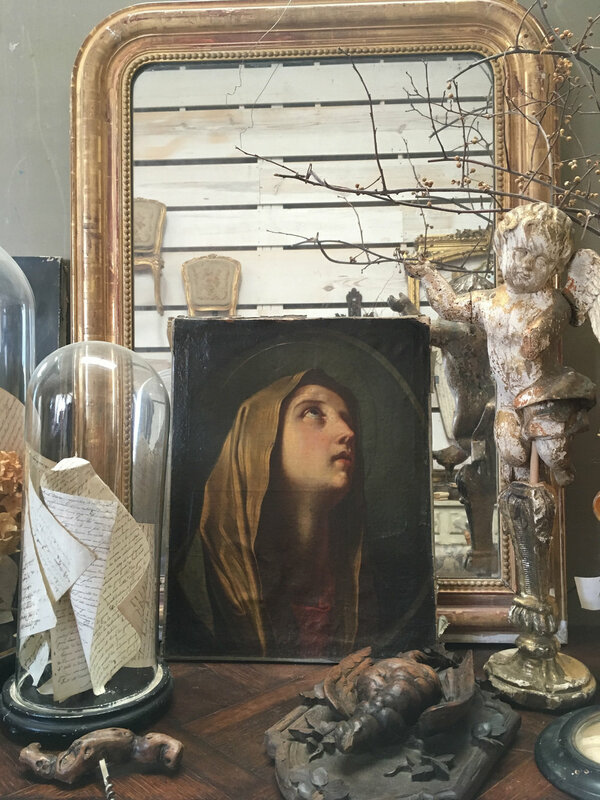 With her home base in Florida, her buying trips to Europe twice a year, and her business exclusively at Market Hill, Jessica Fairbrother of Sacred Heart Antiques has found her happy place. 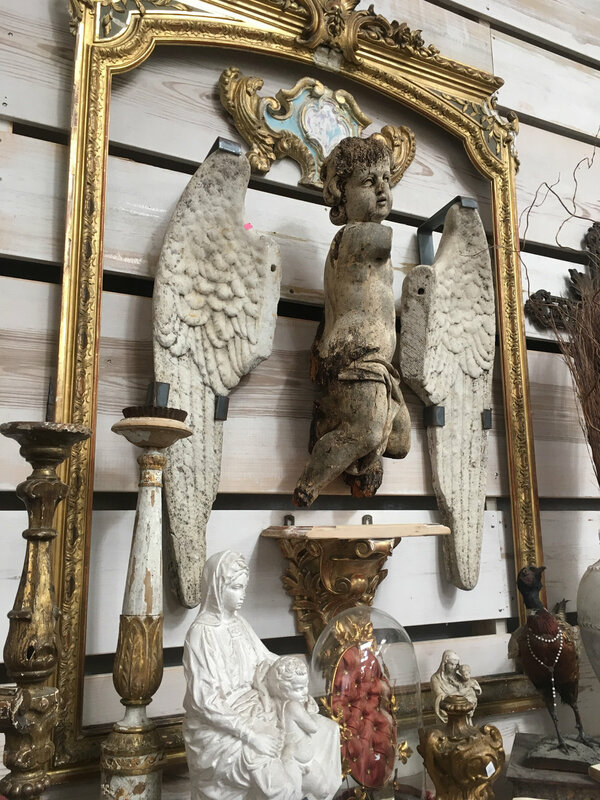 When we catch up with her, she has just returned from spending time in Round Top, unpacking her shipping container and setting up her booth for the fall show. As for her buying trips, she says, “I’ve been doing this for over 20 years. I don’t pre-buy anything. I do it the old-fashioned way. I hand-pick everything. I put it in the truck. I am the transporter,” she says. “There’s a great photo someone took of me. I’m in a street market, standing in the back of a truck. It was after a rain. I am soaking wet, from my feet to above my knees, standing there, waiting for everything to dry out before I can pack it away. 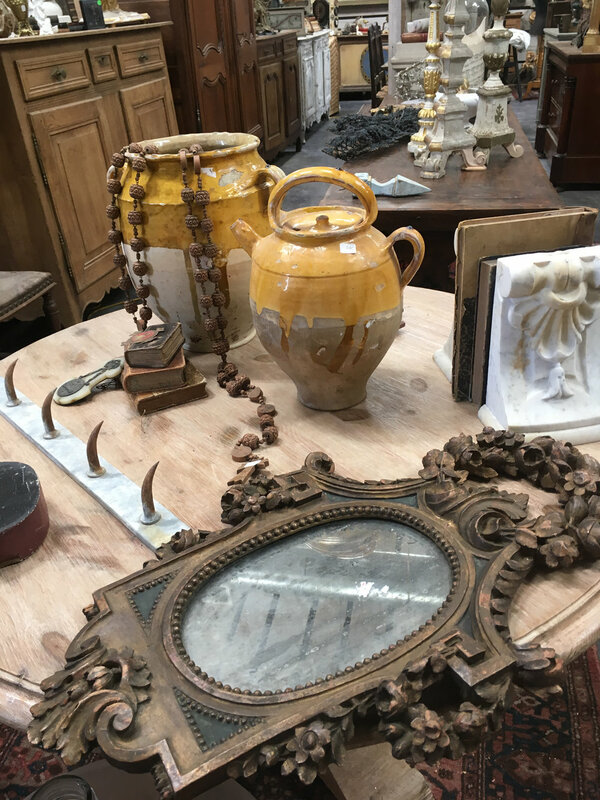 This is the glamorous life of an international antiques dealer,” she laughs. “This shopping trip was one of the most successful and most interesting. There are a hundred stories I could tell.” But when asked about which piece she’s most fascinated by, she can’t pick just one.